Today, I watched “Star Wars: The Last Jedi”! As the 8th chapter in the Star Wars saga, it follows old characters like Luke Skywalker and new characters like Finn as they evade the First Order, led by Kylo Ren and Supreme Leader Snoke. While Rey (a new character introduced in the previous film, “Star Wars: The Force Awakens”) receives Jedi training from Luke and learns more about Kylo, the rest of the protagonists must escape the First Order on a Resistance cruiser that is losing fuel. “The Last Jedi”, being the epic film it is, also shifts through several different subplots, one being where Finn and new character Rose try to find a way to disable the First Order’s tracking devices so the Resistance fighters can escape. The opening space battle is one of the coolest action scenes I’ve seen this year. One of the main positives of “The Last Jedi” is that it doesn’t let down on the Star Wars action. Big-budget CGI lightsabers, blasters and explosions make for beautifully filmed fighting scenes. It also has a lot of drama and plenty of twists, especially around the murky relationships between Kylo Ren, Luke and Rey. Also included are some neat jokes (my favorite is where furry creatures called Porgs look on as Chewbacca roasts one of them). The film is an enormous 150 minutes long, but if you have the time to watch it, those minutes will fly by like nothing. “The Last Jedi” is just that exhilaratingly enticing. 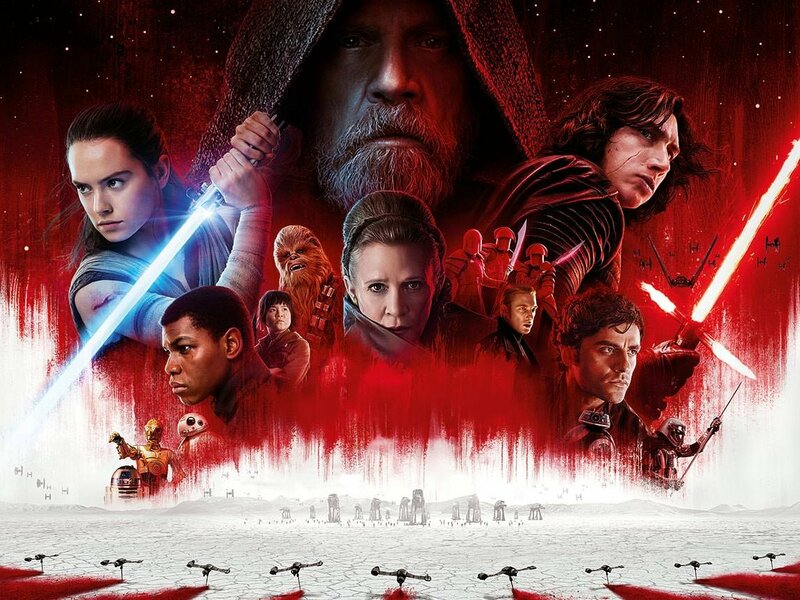 Yes, “The Last Jedi” is not perfect, but it’s still a must-watch for fans of Star Wars! WRITING UPDATE: My sister Laura and I have currently explored several ideas for new books independent of our current Danny Hoopenbiller and Two Worlds series and settled on a few concepts that sound good. Stay tuned!